The comely sisters, who were once pictured in swimsuits with former prime minister Tony Blair have an impeccable pedigree. 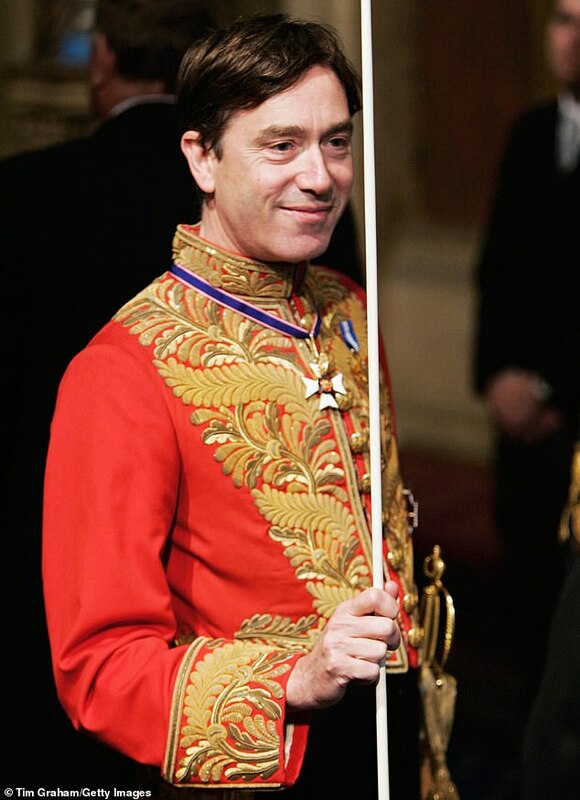 Their grandmother was Lady Elizabeth Longman, a bridesmaid at the Queen’s wedding to Prince Philip. The Cholmondeleys’ home is Houghton Hall, a stunning Palladian mansion built in the 1720s for Britain’s first Prime Minister, Sir Robert Walpole. 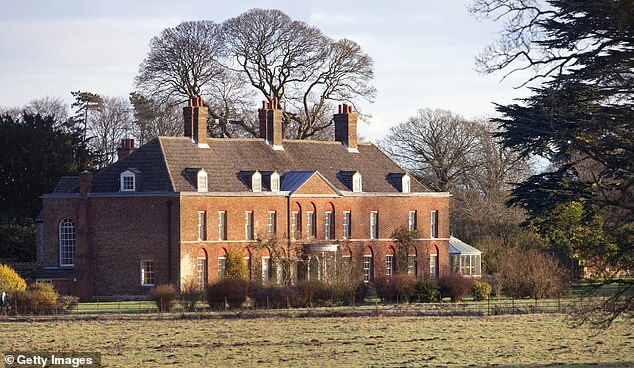 The 106-room pile is barely four miles from Anmer and it was soon being reported that the Cholmondeleys with their three children were part of the so-called ‘turnip toffs’, a set of well-born friends of William and Kate with North Norfolk homes. Members were said to include William and Rosie van Cutsem, the Earl and Countess of Leicester, who live at Holkham Hall and James and Laura Meade, who is a godmother to Prince Louis. One weekend report said the Cholmondeleys’ twin sons, Alexander and Oliver, were playmates of Prince George, despite the four-year age gap between them. 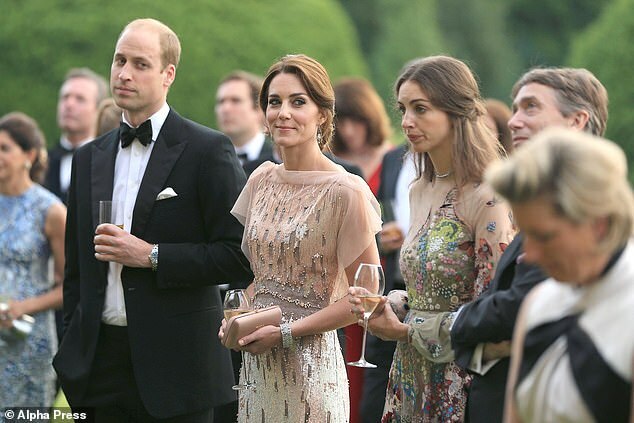 Rose and David were both guests (of the Queen) at William and Kate’s wedding in 2011, and three years ago the royal couple attended a black tie gala at Houghton Hall. Rose and Kate, meanwhile are patron and royal patron respectively of the charity East Anglia Children’s Hospices, and the Duchess has attended the Houghton Hall horse trials with her children. William and David would appear to have less in common. The marquess — French-speaking, piano-playing and a lover of modern art — is, after all, the same age as his late mother. The men have been shooting together, but this is normal among landowners in Norfolk. So does all that add up to a close friendship? According to an authoritative family source, the two couples have been to each other’s homes only three times. ‘They see each other occasionally and like each other,’ a figure close to Rose tells me. Nevertheless, tongues started wagging. 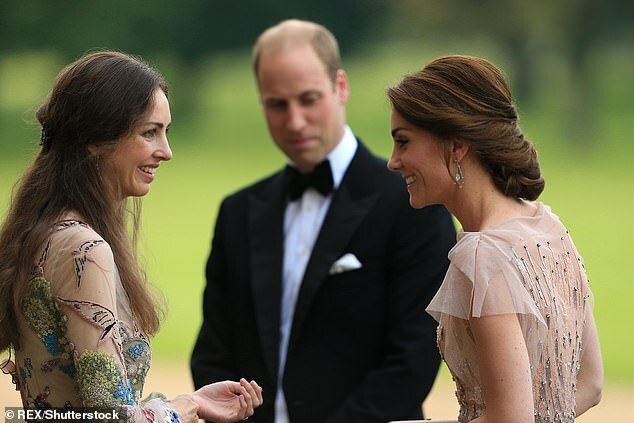 Last week the Daily Mail did report in its diary gossip that there was competition between the duchess and the marchioness. But Saturday’s Sun newspaper reported that the ‘falling out’ was ‘much worse than first thought’. At first, William and David laughed the rumours off — I am told they even reached the ears of the wider Royal Family. But the latest reporting has changed the atmosphere. I understand both men are baffled by the rumours and insist there is no rift between them or their wives. A family source told me: ‘These hurtful rumours of a fall-out are simply false. William and David were in touch with each other over the weekend, not knowing whether to laugh or complain. Both wives are hurt by the suggestion that there is any argument or even a coolness between them. They have plans for future events involving their charity. ‘This is a question of a lie going round the world before the truth has even had time to take its boots off.’ Another family figure said: ‘A whisper which had no basis or truth has turned into a roar.